I do most of my modelling in the garage, which is kinda cold in the winter. 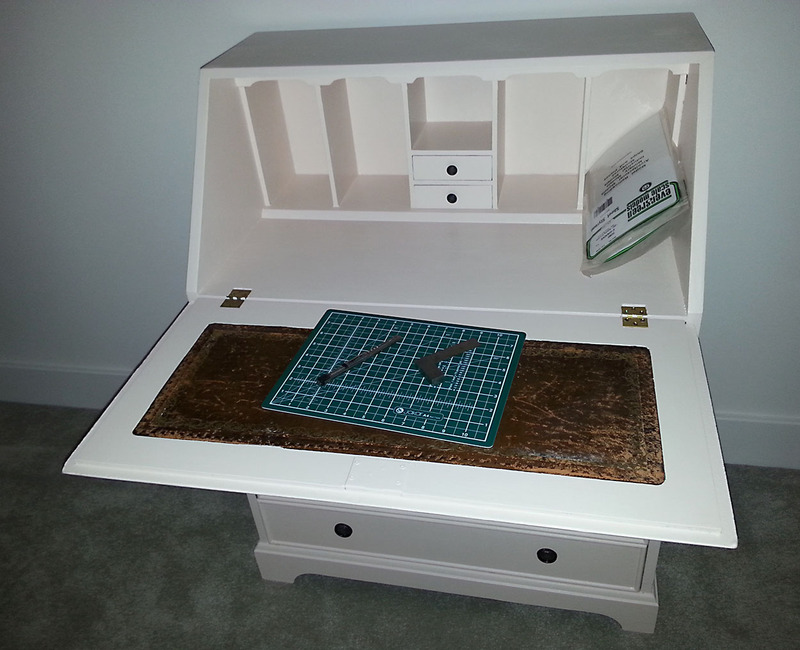 I saw an old writing desk on ebay and I thought it would make a great modelling bench. I brought it for £30. The writing surface / closing top was broken off so I had to repair the wood and replace one of the hinges but this was easy to do. 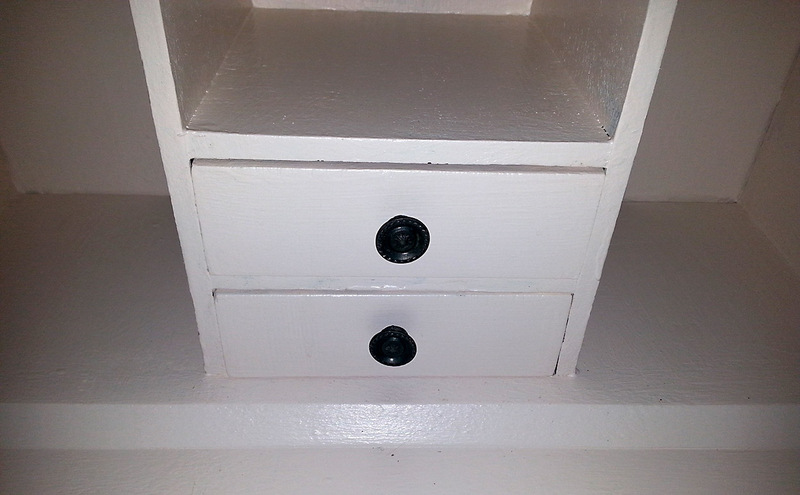 It was a very dark brown colour so my daughter and I sanded it down and gave it a few coats of paint. Here it is. I’m rather pleased with it. 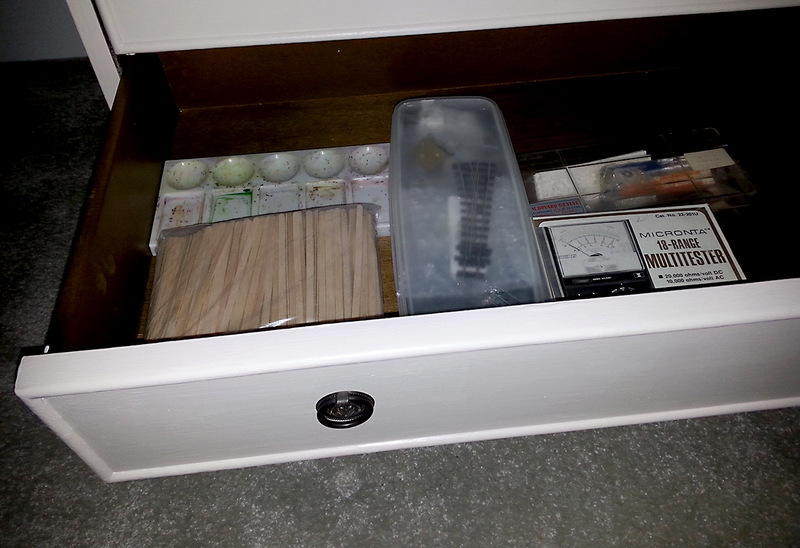 The drawers will be useful to store all the odds and ends that I’ve accumulated. The front folds down to create a work surface. How many modellers can say they have a leather coated workbench 🙂 Best of all I can close it and the bits and pieces of whatever I’m working on will be hidden from view. My family approve! 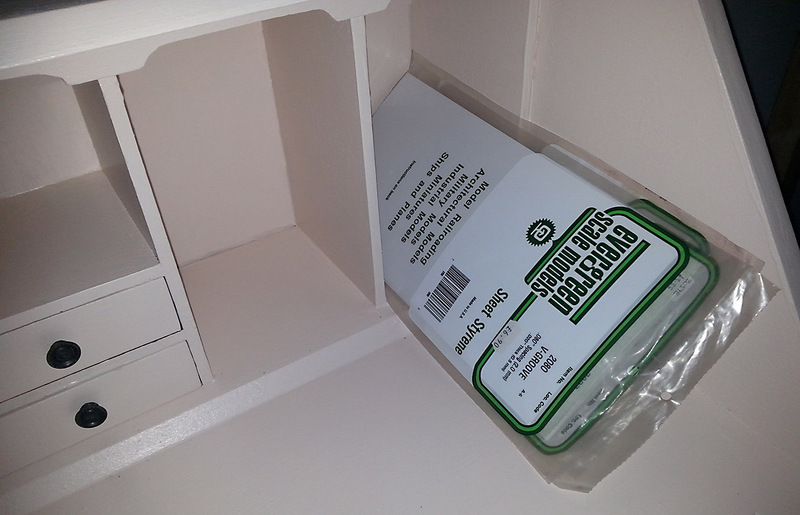 I will use the pigeon holes to store things like styrene sheets. 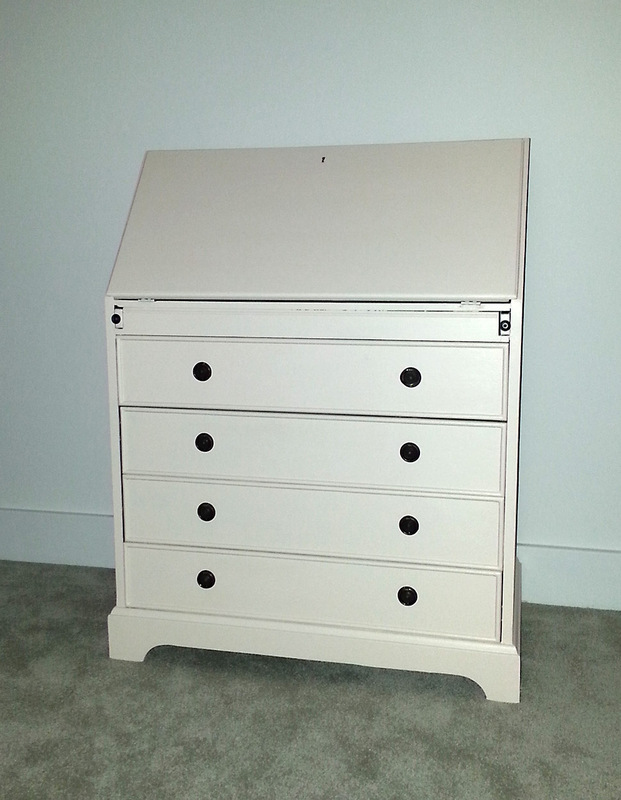 .. which will be ideal for storing essential supplies for long modelling sessions ! MAKES SENSE—KEEPING IT ALL IN ONE PORTABLE UNIT! 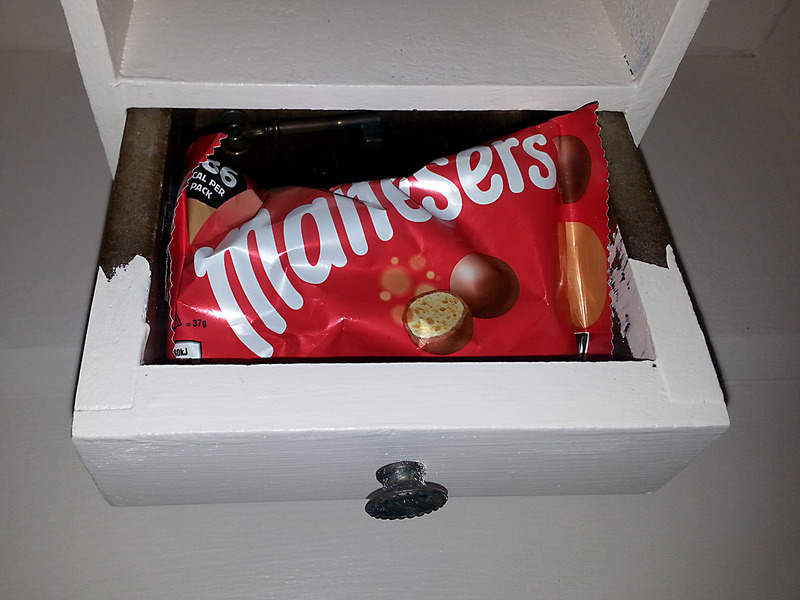 Ah, ha.. Do you also have the emergency chocolate supplies too? It’s surprising how many modellers I know have something similar. Mine sits in the corner of the lounge with my back to the TV. No longer does my wife wonder what I do out in the shed when I spend the evenings with her. Hi Ian, What a coincidence. Yes, it’s a really good solution. Much more social (and warmer) that a shed! I’m really looking forward to using mine for some serious modelling….